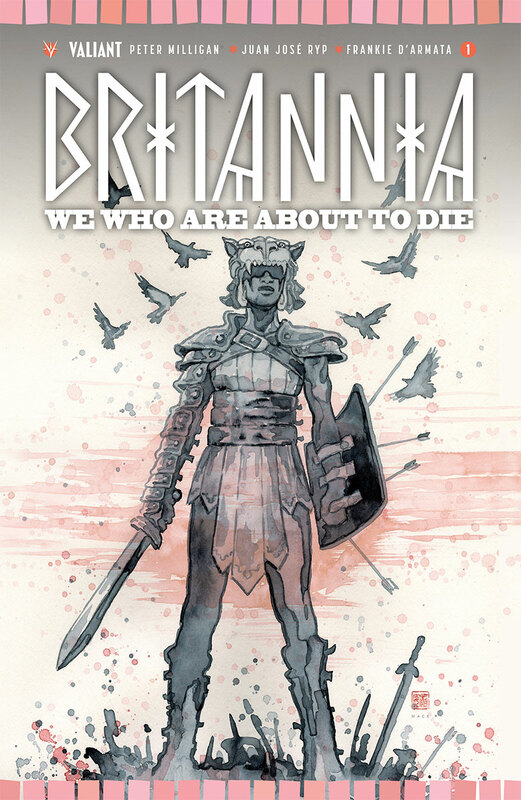 First Look: Blood Sacrifice Meets Bloodsport in BRITANNIA: WE WHO ARE ABOUT TO DIE #1 – On Sale April 26th! As revealed at Nerdist, Valiant is proud to present the first lettered look inside BRITANNIA: WE WHO ARE ABOUT TO DIE #1 (of 4) – the FIRST ISSUE of a haunting and hallucinatory new investigation for the ancient world’s first detective, beginning on April 26th! 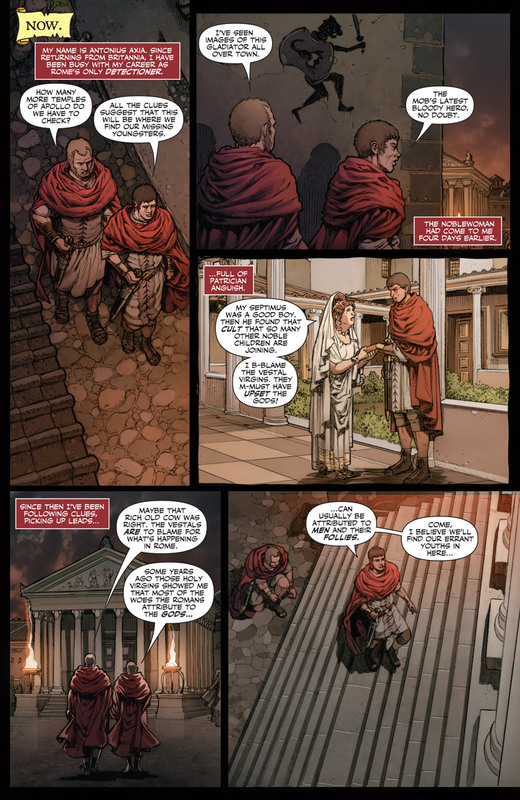 This spring, the master creators behind BRITANNIA’s ten-time sold-out debut – comics legend Peter Milligan (Shade, The Changing Man) and upstart artist Juan Jose Ryp (Britannia) – reunite for a startling new case bringing the god Apollo from the heights of Mount Olympus to the sordid back alleys of Rome as Nero’s most trusted “detectioner,” Antonius Axia, investigates a series of bizarre, supernatural happenings connecting the blood sacrifice of the pagan temple to the bloodsport of the gladiatorial arena! 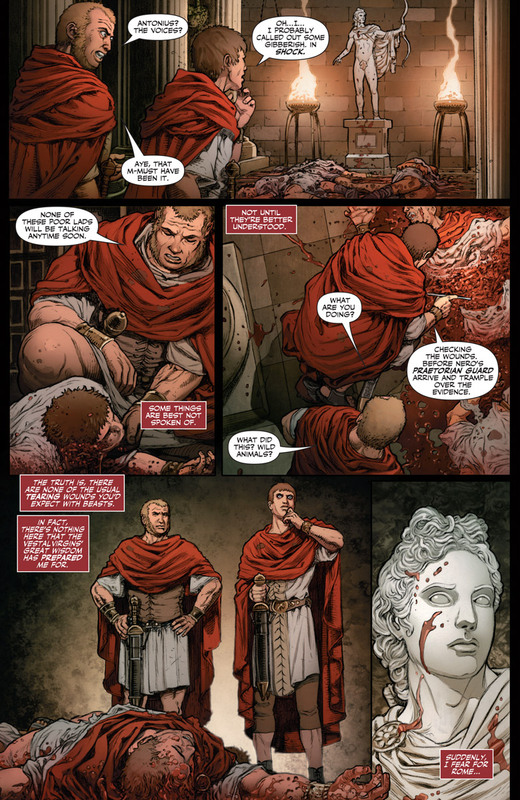 Fifty thousand Romans stand on their feet, watching from the rafters of the Coliseum with captured breath as Achillia, a gladiator unlike any that Rome has seen before, faces incredible odds – one lone warrior against five of Rome’s greatest. 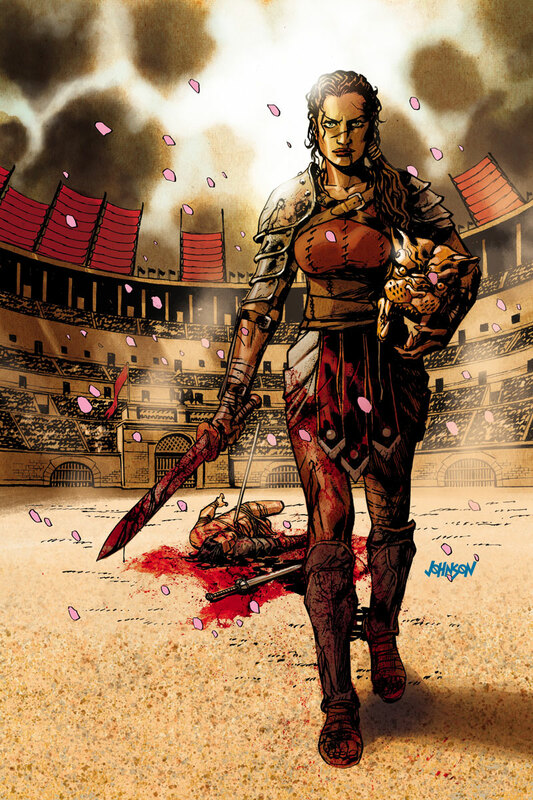 Such is the tradition, when a female gladiator enters the fray. 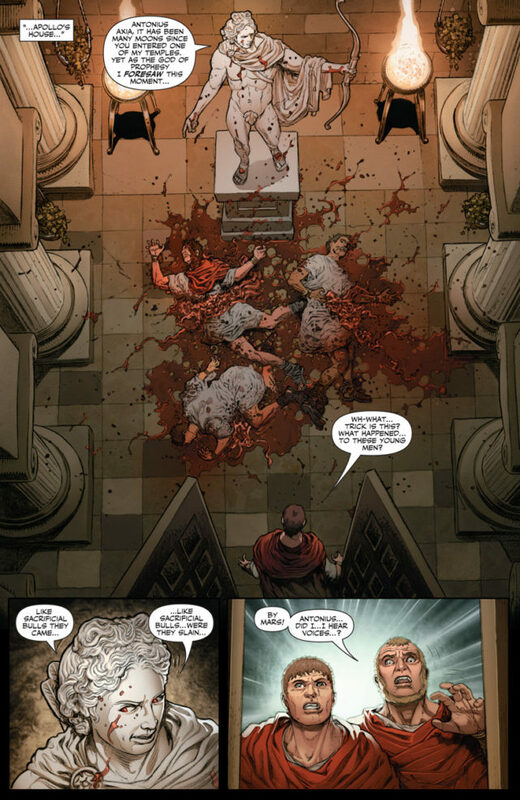 When the carnage is complete, the coliseum roars its approval as Achillia stands victorious. Now, only one match away from winning her freedom, she has begun to gain renown. 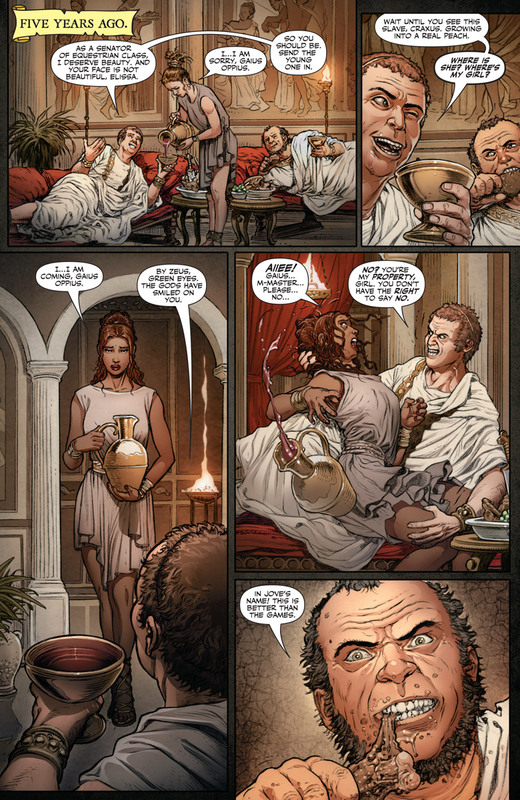 The women of Rome, suppressed by their husbands and fathers, have noticed. The men of Rome, husbands and fathers to a growing horde of women entertaining ideas of independence, have noticed as well. 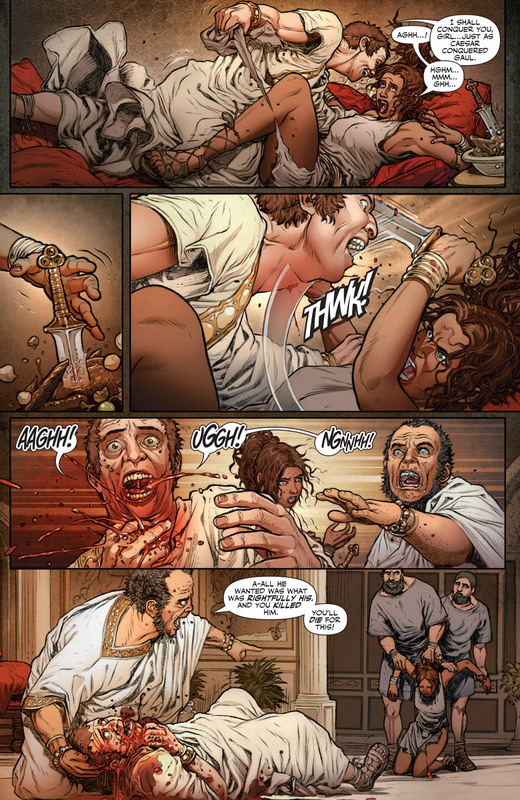 Rome’s newest gladiator has cut her way to the top…but can even she escape the wrath of a mad god set loose upon the world of men? 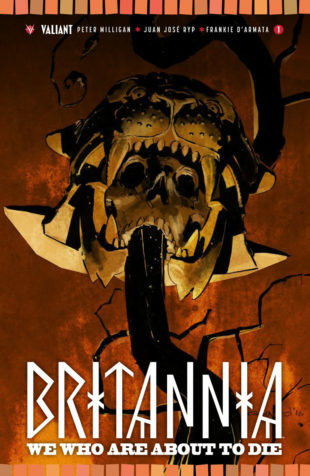 Antonius Axia is the only one who knows for sure, and the answers await in BRITANNIA: WE WHO ARE ABOUT TO DIE #1 (of 4) – an all-new, self-contained entry point into the fearless new series that’s pushing the boundaries of the Valiant Universe farther than ever before! Featuring covers by Eisner Award winner Cary Nord (X-O Manowar, Conan), Eisner Award nominee David Mack (Daredevil), rising star Adam Gorham (Teenage Mutant Ninja Turtles Universe), and Eisner Award winner Dave Johnson (100 Bullets), jump on board here on April 26th with a breathtaking introduction to Milligan & Ryp’s ten-time sold-out vision of myth and mystery, only in BRITANNIA: WE WHO ARE ABOUT TO DIE #1 (of 4)!